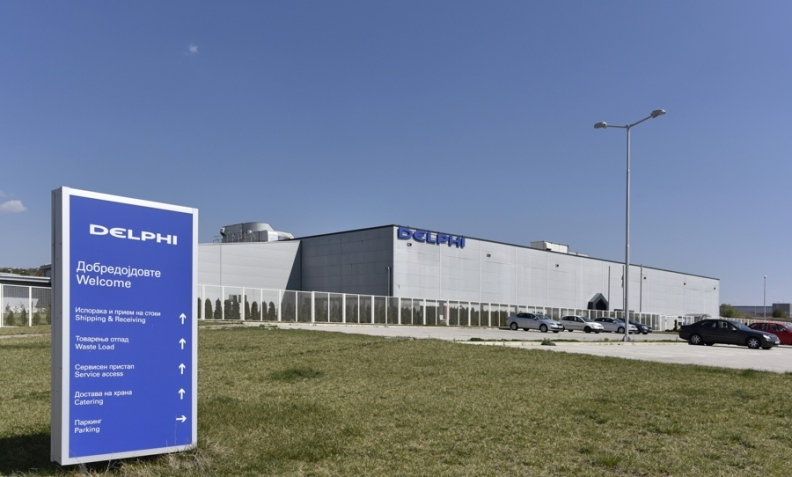 Delphi produces electronic control units at this factory in Macedonia. Macedonia’s highway infrastructure is currently undergoing an 800 million euro upgrade that will add 170 km of new road. The project will greatly benefit automotive suppliers, many of which have helped turn the republic into a key player in the industry. Since 2007, partsmakers such as Delphi, Adient, Lear, Johnson Matthey, Kostal, Kemet and Key Safety Systems have opened factories in Macedonia. The country, formerly part of Yugoslavia and roughly the size of Vermont, also is currently negotiating with more than 15 existing and new suppliers about future investments, according to Viktor Mizo, CEO of Macedonia’s Directorate for Technological Industrial Development Zones. Today, the country of 2.1 million people has about 20,000 automotive jobs that pay an average of about 400 euros a month. Before the influx of auto component makers, Macedonia’s unemployment was 38 percent. Now it is 23 percent -- and falling. Avram Stojchevski, who is plant manager at bus maker Van Hool’s massive production facility near Skopje, Macedonia’s capital, believes the real unemployment number is closer to 15 percent. Auto components accounted for nearly half of Macedonia’s 4.3 billion euros in exports last year. Mizo expects the number to rise again in 2017. Macedonia has lured suppliers with its availability of skilled, affordable workers, its proximity to key European markets and tax incentives. To help expedite business in the country, Macedonian officials promise that a company can move from business registration to the start of operations in just four hours, with only three steps necessary to obtain a construction permit, down from 21 previously. The efforts have gained notice around the world. In 2006, the World Bank’s annual Ease of Doing Business ranking counted Macedonia 94th out of 175 economies for its business climate. This year, it has risen to 10th out of 190.